Yes, you can judge a man by his shoes . . . and his belt! Yes, you can judge a man by his shoes . . . and his belt!! 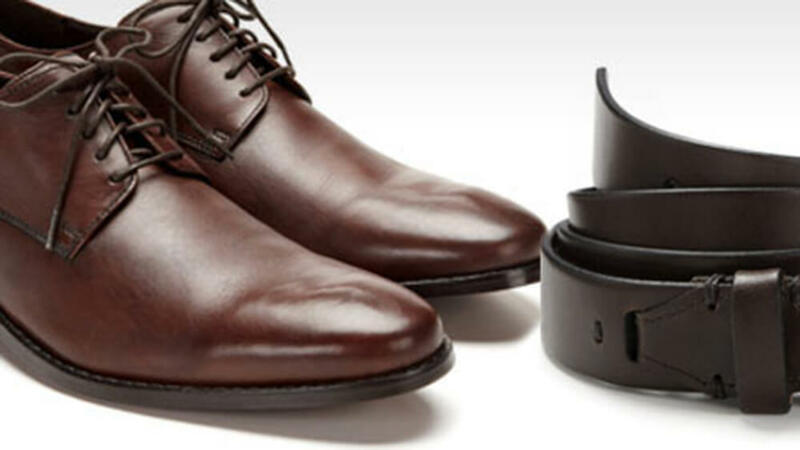 Too shiny shoes and belts may draw too much attention; too distressed and they might come off as too casual. Here’s what you should do to accessorize this fall. It’s an ongoing battle in every man’s wardrobe; an age-old question while getting ready for a night out — black or brown? So what should you fill your shoe rack with this season? You can’t go wrong with an array of browns. Black is classic, but a versatile brown can cover your bases on casual, dressy, and everything in between. Browns work with everything from navy suits to khakis to grey sweaters, and are more easily matchable with watch straps and belts. “Browns offer warmer tones and richer depth once they’re broken in,” says van Allen. Black is black, but brown can range from tans and light browns to deeper chestnut or chocolate tones. A nice belt will not go unnoticed. It may seem like a minor part of your outfit, but it can pull the whole thing together while having an important practical role. “When it comes to pairing a belt with your shoes your best bet is always to keep it in the same colour family — black with black, dark brown with dark brown and so on,” says van Allen. A general rule of thumb with belts is to keep it simple. There are, however, many different styles, textures and colours you can play around with while keeping it in the same colour family as your shoes. Whether you’re going formal or casual, a good belt is the finishing touch your outfit needs. Buy Suit Accessories and Ties. Purchase Online. Shop Here.